Seventeen-year-old Bryan grew up in a Christian family in Guatemala. But it was a Bible he received that helped him make his family’s faith his own. 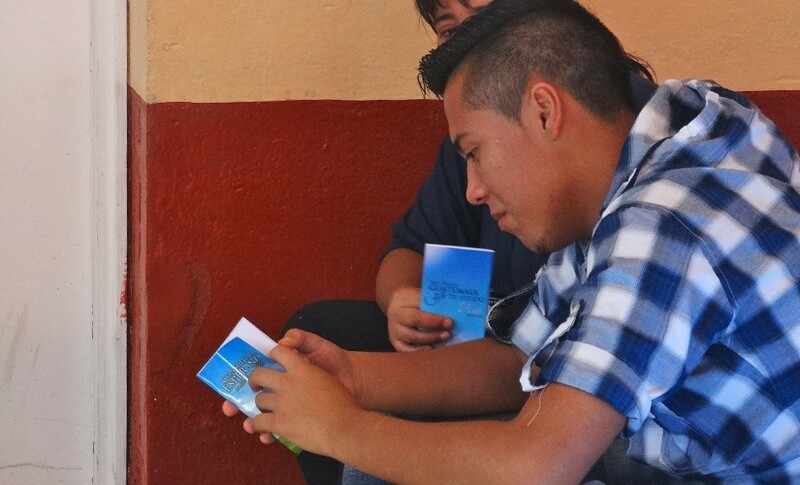 Bryan is one of hundreds of young Guatemalans who received a Bible through a youth discipleship program called “Link.” Operated by the Bible Society, the Link Ministry brings young Christians together and helps them reach out to their peers. They learn how God can guide them in life, and how God’s ways can make their country a safer place to live. Right now, Guatemala needs the kind of changes that God’s Word encourages. It has one of the highest murder rates in the world. Robbery, theft, and extortion are the norm; 90 percent of all crimes go unpunished. But what if people came to love the Lord and their neighbors as themselves? Would they steal or kill or covet what others own? Bryan and the Bible Society know that the Bible has the wisdom to turn their country around. They know God has a better plan for Guatemala and its people. Because of American Bible Society’s generous financial partners, God is changing lives in Guatemala. If not for Bible-based trauma healing, Raul might be in a gang today. 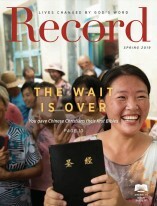 A new Bible translation brings God's Word to life for deaf people.